We routinely cover latest tips and hacks on Windows,Mac and Linux. KashTech brings you daily freeware,tips,and tricks to save time,solve problems and improve productivity! 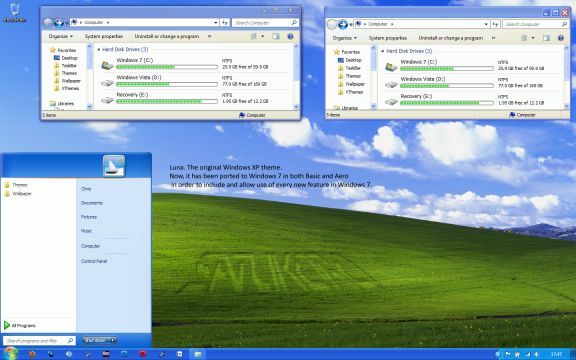 Windows XP users who want to try the new Windows 7 look and feel have plenty of options in form of Windows 7 Themes and Transformation packs, however users who upgraded to Microsoft Windows 7 and missed the plain old Windows XP look had no choice until now - the good news is that we now have a working Windows XP's original default Luna theme port for Windows 7. The Luna theme port support's both Aero and Basic theming in Windows 7 and comes with full-support for all new Windows 7 features. 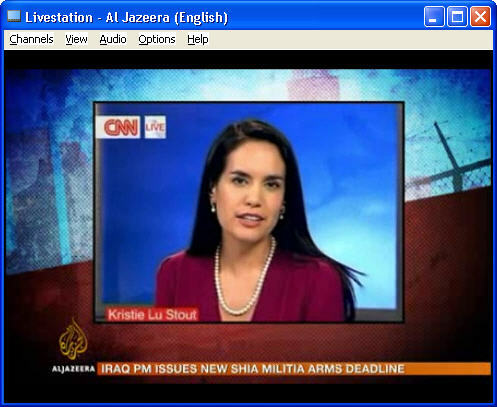 Livestation is a newly launched platform developed by Skinkers Ltd. & Microsoft for distribution of live tv & radio broadcasts over a peer-to-peer data network. Livestation uses Microsoft's new Silverlight front-end to playback broadcast streams, currently obtainable as a invitation-only private beta for Windows (post your email ID's in comment section for a invitation), the company designs a Mac & windows Mobile version in future, As of now a total of 8 TV & 2 radio channels are obtainable for your viewing pleasure, & more channels are expected in future. The application is free & needs a high-speed connection to work. The application upgrade fixes some issues & bugs & introduces new features as follows. Finally, links to download iPod Touch & iPhone OS 3.1 are live & users can download them right now either automatically by iTunes or direct links provided at finish of the post, the update is free for all iPhone users & iPod Touch users having firmware version 3.0 - it seems iPod touch users having older firmware version needs to pay $4.95 for getting iPod Touch OS 3.1. Genius Mixes - Whenever you sync to iTunes, the Genius feature studies your library & finds songs that go great together, then automatically creates 12 new Genius Mixes. Genius Recommendations for Apps - With thousands of apps in the App Store, how do you find nice new ones? Let Genius help. It looks at the apps you’ve purchased & recommends others you might like. Peer-to-Peer Gaming - The newest games will make it easy to play head-to-head with a friend — whether your friend is sitting next to you or across the country. Audiobooks by Wi-Fi - Download movies, TV shows, music videos, & audiobooks over Wi-Fi from the iTunes Store on iPod touch. Stereo Bluetooth - Enjoy music & other audio wirelessly. Pair your iPod touch with compatible Bluetooth stereo headphones. New Languages - Enjoy support for up to 34 languages & over 40 keyboard layouts. Shake to Shuffle - give your iPod touch a shake, & it shuffles to a different song in your music library. You’ll always be surprised by what you hear. Parental Controls - Decide what music, videos, & apps your children can access on iPod touch. iTunes Store Account Creation - Generate two or more iTunes Store accounts directly from your iPod touch. Automatic Wi-Fi Login - Log in to a Wi-Fi hotspot & iPod touch conveniently remembers your user name & password the next time you connect. Landscape Keyboard - Need more room to type? Rotate iPod touch to landscape to use a larger keyboard in Mail, Notes, & Safari. Privacy guaranteed.We never share your info. A site focused on technology news & views about products/services from Microsoft,Apple and Google.We routinely cover latest tips and hacks on Windows,Mac and Linux.We also cover Android,iOS and WP7 guides.Our aim,however is to explore the web and bring you the best possible tips and freeware. In a nutshell, I'm a Technology Geek from the world's most beautiful prison known as Kashmir who brings you daily freeware, tips, and tricks to save time, solve problems, and improve productivity!